In World history, there are many actors who deserved a title of “Butcher” but there are only two persons whom the Western historians, journalists or political analysts pasted this label as the official mark of their participation in world history – General Ratko Mladić (the “Butcher of Bosnia”) and Slobodan Milošević (the “Balkan Butcher”). In the following paragraphs it is going to be noticed more candidates for the title of “Butcher” as a small contribution to the proper interpretation and understanding of global history. This year it is the 73rd anniversary of the end of the WWII – the bloodiest and most horrible war ever fought in the human history. The war that caused creation of the UNO in 1945 in order to protect world from similar events in the future – a pan-global political-security organization which first issued legal act was a Charter of the UN which inspired the 1948 Geneva Conventions’ definition of genocide. Have all the WWII war criminals faced justice at the Nüremberg and Tokyo Trials? Or at least those who did not escape from public life after the war. Here we will present only one of those cases from WWII which has to be characterized as the genocide followed by the personalities directly responsible for it: The 1945 Dresden Massacre. The 1945 Dresden Raid was surely one of the most destructive air-raids during WWII as well as in the history of massive military destructions and the war crimes against humanity too. The city was of an extreme pan-European cultural and historical importance as one of the most beautiful “open-air museum” places in Europe and probably the city with the most beautiful Baroque architectural inheritance in the world. The lack of the city’s geostrategic, economic and military importance. The main air raid was followed by three more similar raids in daylight but now by the U.S. 8th Air Force. The Allied (in fact, the U.K.−U.S.) Supreme Commander-In-Chief the U.S. a five-star General Dwight D. Eisenhower (1890−1969) was anxious to link the Allied forces with the very advancing Soviet Red Army in the South Germany. For that reason, Dresden was suddenly considered of strategic importance as a communication center, at least according to Eisenhower. However, at that time Dresden was known as a city that was overcrowded by up to 500,000 German refugees from the east. For the U.K.−U.S. Supreme Command Headquarters it was clear that any massive air-bombing of the city would result in a massive loss of life, a human catastrophe. That was not primarily only on Eisenhower’s conscience to decide to launch massive airstrikes on Dresden or not as we have not to forget that Eisenhower was only a military commander (a strateg in Greek) but not a politician. Undoubtedly, the Dresden question in January−February 1945 was of a political and human nature not only of military one. Therefore, together with the Supreme Commander-In-Chief of the Allied Forces a direct moral and human responsibility for the 1945 Dresden Massacre was on the British PM Winston Churchill (1874−1965) and the U.S. President Franklin D. Roosevelt (1882−1945) too. These three men, however, finally agreed that inevitably very high casualties in Dresden might in the end, nevertheless, help to shorten the war, that from a technical point of view was true. During one night and one day of the raids there were over 30,000 buildings destroyed and the numbers of those who were killed in the bombing and the ensuing firestorm are still in dispute among the historians as the estimations go up to 140,000. Here it has to be noticed that if this highest estimation number is going to be true it means that during the 1945 Dresden Massacre were killed more people than in Hiroshima case from August 1945 (around 100,000 that was one third out of total Hiroshima’s pre-bombing population). One person with direct responsibility for transforming Dresden into the open-air crematorium, as the city was bombed by forbidden flammable bombs for massive destructions (Saddam Hussein was attacked in 2003 by the NATO’s alliance under the alleged and finally false accusation to possess exactly such weapons – WMD) is the “Bomber Harris” – a commander of the British Royal Air-Forces during the Dresden Raid. 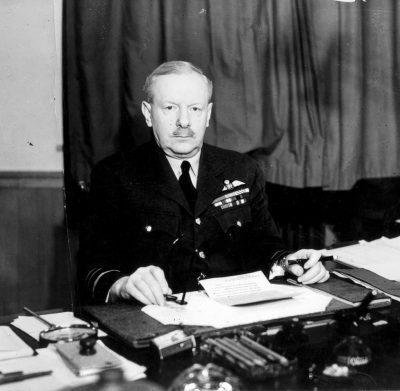 The “Bomber Harris” was in fact Arthur Travers Harris (1892−1984; image on the left), a Head of the British Bomber Command in 1942−1945. He was born in Cheltenham, joined the British Royal Flying Corps in 1915, before fighting as a solder in the South-West Africa. He became a Commander of the Fifth Group from 1939 till 1942 when he became the Head of this Group (Bomber Command). The point is that it was exactly Arthur Travers Harris who stubbornly required and defending the massive area bombing of Germany under the idea that such practice will bring the total destruction of Germany (including and civil settlements) that would finally force Germany to surrender without involving of the Allied forces into the full-scale overland military invasion. 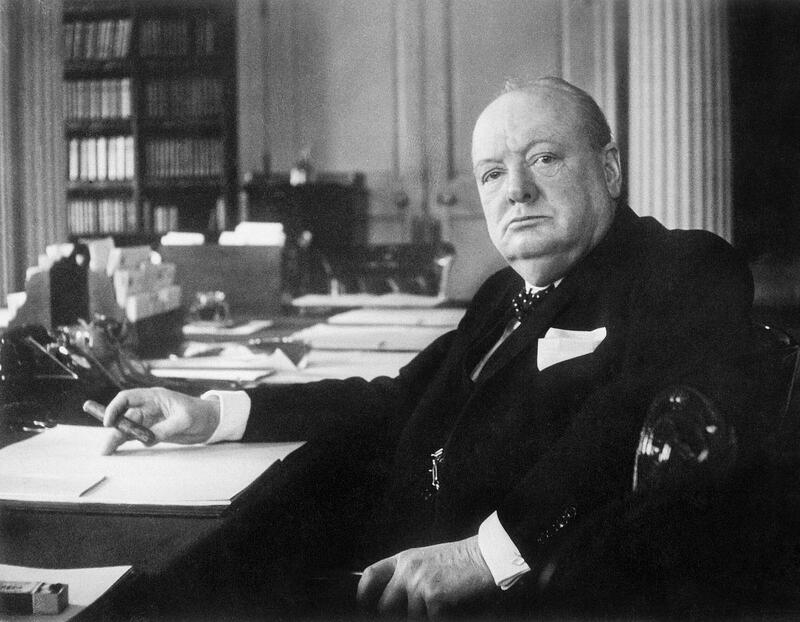 The crucial point is that this “Bomber Harry’s” strategy received a full support by the British PM Winston Churchill who, therefore, became a politician who blessed and legitimized massive aerial massacres in the legal form of genocide as it was described in the post-WWII Charter of the UNO and other international documents on protection of human rights (for instance, the 1949 Geneva Conventions). Nevertheless, there were the “Bomber Harry”, Dwight Eisenhower, Franklin D. Roosevelt and Winston Churchill who transformed the bombing of selected targets as transport systems, industrial areas or oil refineries into the massive aerial destruction of the whole urban settlements with transforming them into the open-air crematoriums like it was done for the first time in history with Dresden – a city with a rare historical heritage (today the pre-war Dresden would be on the UNESCO list of protected places of the world’s heritage) but flattened during one night and one day. This successful practice became very soon followed by the Allied forces in the cases of other German cities, like Würtzburg – a tightly packed medieval housing city that exploded in a firestorm in March 1945 in one night with 90% of destroyed city-space which had no strategic importance. However, a strategic bombing of the urban settlements in the WWII reached its peak by destructions of Hiroshima and Nagasaki under the order by the U.S. President (Democrat) Harry Truman – the “Atomic Harry” (1884−1972) who authorized the dropping of the atomic bombs over these two Japanese cities in order to end the war against Japan without further loss of the U.S. military troops, insisting on unconditional surrender of Japan. Surely, one of the most obvious results of the WWII was “its unparalleled destructiveness. It was most visible in the devastated cities of Germany and Japan, where mass air bombing, one of the major innovations of the Second World War, proved much more costly to life and buildings than had been the bombing of Spanish cities in the Spanish civil war”. For that and other reasons, we believe that many Allied military and civil top decision-making personalities from the WWII had to face justice at the Nüremberg and Tokyo Trials together with Hitler, Eichmann, Pavelić and many others. However, it is old truth that the winners are writing history and re-writing historiography. Therefore, instead to see Dwight Eisenhower, Winston Churchill, Franklin D. Roosevelt (FDR), Harry Truman or Arthur Travers Harris at the Nüremberg and Tokyo Trials’ courtrooms as indicted on such charges as crimes against humanity and genocide as were the German Nazi defendants, who included the NSDAP’s officials and high-ranking military officers along with the German industrialists, lawmen and doctors, we are even 73 years after the WWII reading and learning politically whitewashed and embellished biographies of those war criminals who destroyed Dresden, Hiroshima or Nagasaki as national heroes, freedom fighters and democracy protectors. For instance, in any official biography of Winston Churchill is not written that he is responsible for the ethnic cleansing of the German civilians in 1945 but we know that the British PM clearly promised to the Poles to get after the war ethnically cleansed territory from the Germans. If the Nüremberg Trial, 1945−1949 was “The Last Battle” for justice, then it was incomplete. Moreover, two the most ardent killers of Dresden – Churchill and Eisenhower were granted after the war by the second premiership and double-term presidentship, respectively, in their countries. There were many (Western) butchers in world history but only small fish (from the Balkans) are officially marked by such label. This article was originally published by Oriental Review. On this issue, see more in [L. B. Kennett, A History of Strategic Bombing: From the First Hot-AirBaloons to Hiroshima and Nagasaki, Scribner, 1982]. On Dresden’s history and architecture, see [W. Hädecke, Dresden: Eine Geschichte von Glanz, Katastrophe und Aufbruch, Carl Hanser Verlag, München−Vien, 2006; J. Vetter (ed. ), Beautiful Dresden, Ljubljana: MKT Print, 2007]. 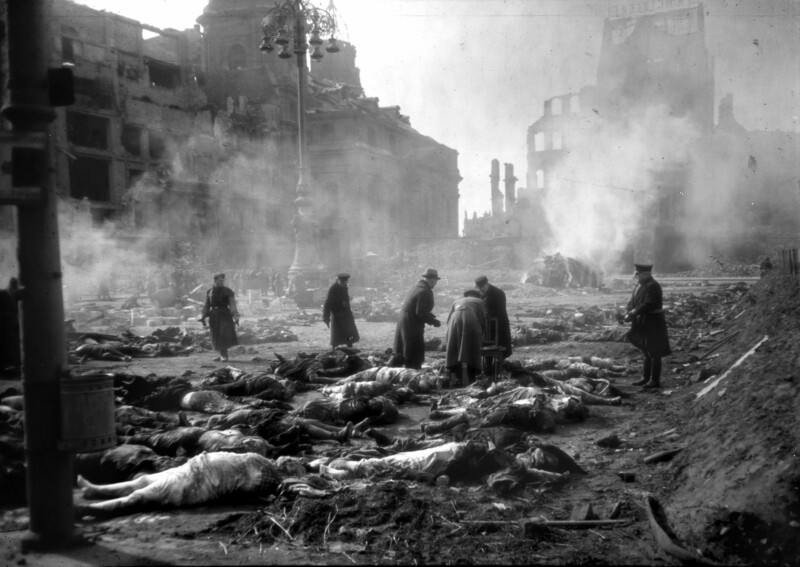 On the case of firebombing of Dresden, see more in [P. Addison, J. A. Crang (eds. ), Firestorm. The Bombing of Dresden, 1945, Ivan R. Dee, 2006; M. D. Bruhl, Firestorm: Allied Airpower and the Destruction of Dresden, New York: Random House, 2006; D. Irving, Apocalypse 1945: The Destruction of Dresden, Focal Point Publications, 2007; F. Taylor, Dresden. Tuesday, February 13, 1945, HarpenCollins e-books, 2009; Charler River Editors, The Firebombing of Dresden: The History and Legacy of the Allies’ Most Controversial Attack on Germany, CreateSpace Independent Publishing Platform, 2014]. On this issue, see more in [J. Friedrich, The Bombing of Germany 1940−1945, New York: Columbia University Press, 2006; R. S. Hansen, Fire and Fury: The Allied Bombing of Germany, 1942−1945, New York: Penguin Group/New American Library, 2009]. On Würtzburg’s case, see [H. Knell, To Destroy a City: Strategic Bombing and its Human Consequences in World War II, Cambridge, MA: Da Capo Press/Pireus Books Group, 2003]. On this issue, see more in [C. C. Crane, Bombs, Cities, & Civilians: American Airpower Strategy in World War II, Lawrence, Kansas: University Press of Kansas, 1993; A. C. Grayling, Among the Dead Cities: The History and Moral Legacy of the WWII Bombing of Civilians in Germany and Japan, New York: Walker & Company, 2007]. J. M. Roberts, The New Penguin History of the World, Fourth Edition, London: Allien Lane an imprint of the Penguin Press, 2002, p. 965. See, for instance [R. Dallek, Harry S. Truman, New York: Henry Holt and Company, LLC, 2008; J. E. Smith, FDR, New York: Random House, 2008; S. E. Ambrose, The Supreme Commander: The War Years of Dwight D. Eisenhover, New York: Anchor Books A Division of Random House, Inc., 2012; A. D. Donald, Citizen Soldier: A Life of Harry S. Truman, New York: Basic Books, 2012; W. Manchester, P. Reid, The Last Lion: Winston Spencer Churchill: Defender of the Realm, 1940−1965, New York: Penguin Random House Company, 2013; B. Johnson, The Churchil Factor: How One Man Made History, London: Hodder & Stoughton Ltd, 2014; B. Harper, Roosevelt, New York City, Inc., 2014; P. Johnson, Eisenhower: A Life, New York: Viking/Penguin Group, 2014]. T. Snyder, Kruvinos Žemės. Europa tarp Hitlerio ir Stalino, Vilnius: Tyto alba, 2011, p. 348 (original title: T. Snyder, Bloodlands. Europe Between Hitler and Stalin, New York: Basic Books, 2010). D. Irving, Nuremberg: The Last Battle, World War II Books, 1996.